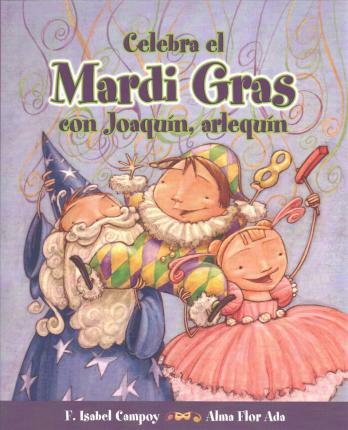 Joaquin is enjoying Mardi Gras with his family, but he gets lost in the crowd. His parents and siblings search everywhere for him, and inadvertently they take other children who, like Joaquin, are disguised as harlequins. The confusion is solved in the end and the involved families continue enjoying the carnival together. Contains an informative section on Mardi Gras.